The ASME Organic Rankine Cycle (ORC) Conference 2015 held in Brussels, Belgium this year was the third consecutive conference of its kind and takes place every two years. A total of 214 submissions for presentation were received for this conference of which 142 were accepted, 53 of them in poster presentations. The conference attracted more than 300 representatives both from research and industry sectors of the Organic Rankine Cycle technology. 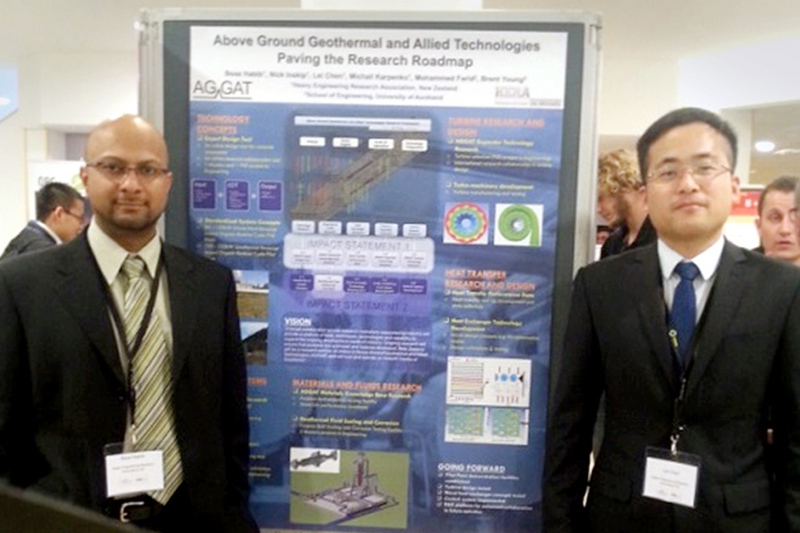 HERA Senior Research Engineer Dr. Boaz Habib and HERA’s Research Engineer Dr. Lei Chen attended and presented posters at this conference outlining the Above Ground Geothermal and Allied Technologies (AGGAT) Research Roadmap activities and AGGAT Turbine Design activities respectively. A notable feature throughout the conference was the enthusiasm and sheer number of participants in ORC technology development. Other than by the number of papers presented this was also evident by the number of industry participants as well as new entrants in the ORC market present at the conference. The belief that ORC is here to stay and will be an integral component of the future energy industry was echoed several times during the conference including in the keynote address given by the CEO of Enertime, a recently-founded French ORC company. Of particular interest was the industry day session which was held for the first time at the ORC conference, where ORC companies had the opportunity to present their experiences in the development of ORC technology and their products. About 15 companies, mostly European, involved in ORC presented in this session. A key message to take home from their experiences was that niche market presence is highly preferable and achievable and this will be realised as reference sites get established. Hence establishing first plants was seen as a key achievement in perception and defining capability of the company to deliver. A site visit was arranged towards the end of the conference to a biogas heat source reference site for a Belgian ORC company E-Rational – BEP Europe. They claimed high sales turnovers in their business specialising in small (50kW) to medium (500kW) scale ORC plants. We were able to study two of their plants at sizes of 55kW and 160kW. The technology is not complex and is in fact marketable even with non-advanced equipment such as expanders instead of turbines. This was confirmed a few years with Triogen, a Dutch ORC company which also has standard technology except for direct heat use and high temperature applications, which have established a strong market presence. It was also evident that these plants can fetch a premium for their offerings! The conference trip was successful for gathering insights into the cutting edge nature of ORC developments, and also to confirm that the direction HERA has taken in AGGAT research has been a wise and strategic one to promote growth of NZ’s heavy engineering industry into clean energy. Our Senior Research Engineer Dr Boaz Habib and Research Engineer Dr Lei Chen at the ORC conference in Brussels, Belgium. Inside view of the 160kW ORC plant developed by E-Rational, BEP Europe. 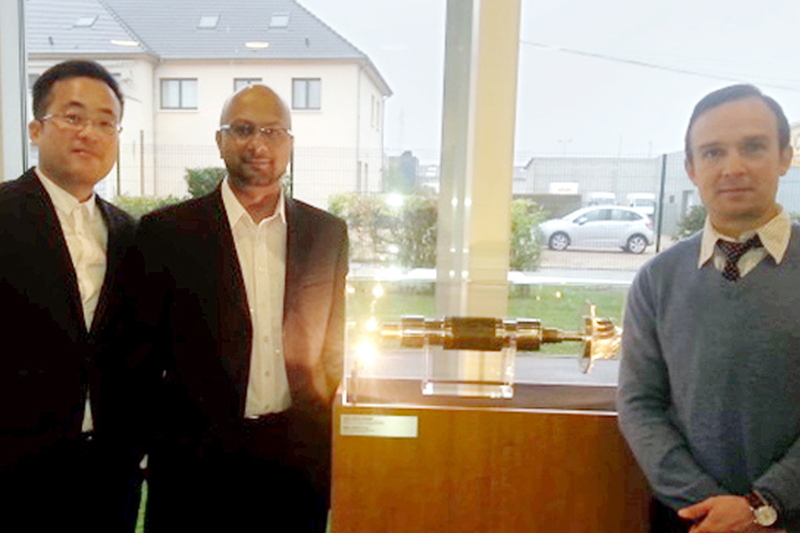 Our AGGAT team visiting a potential international project partner for the development of our turbo-generator. A link to the conference proceedings can be found here. 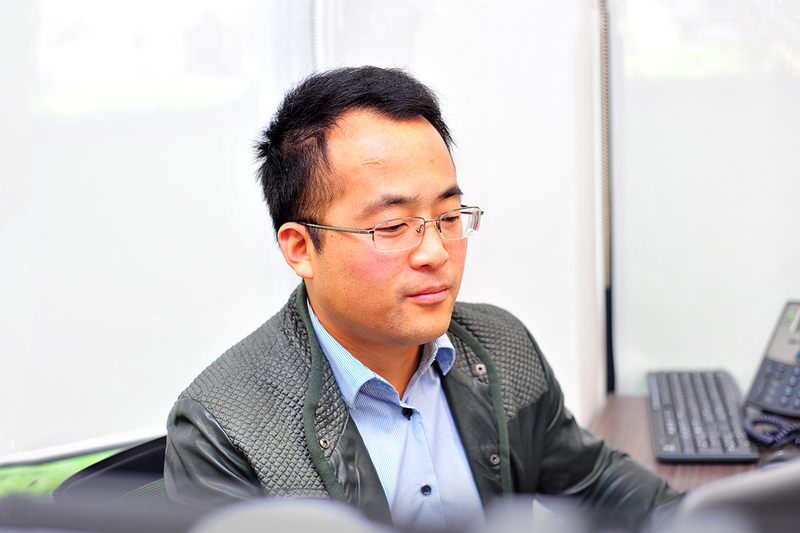 Dr. Boaz Habib and Dr. Lei Chen from HERA met with a company in Europe to progress technical discussions on development of high speed turbo-generators. The meeting went very well in which a collaborative understanding was established between both parties. 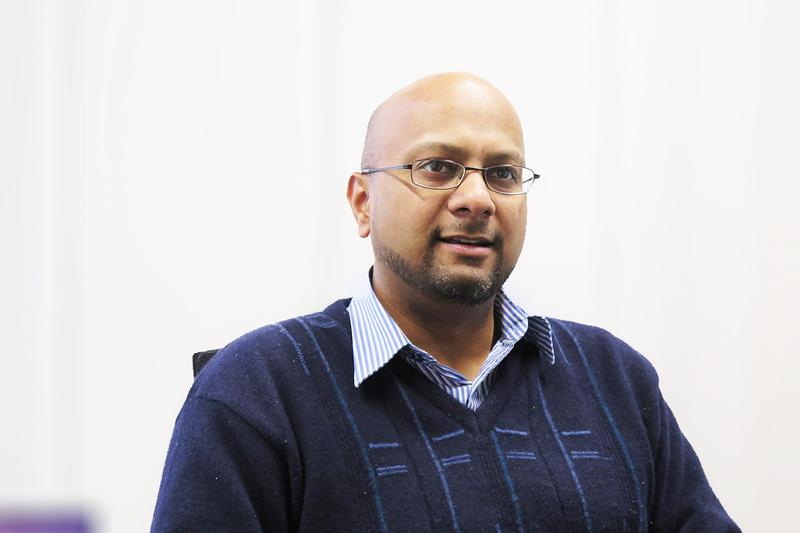 HERA will continue with its research around designing and manufacturing a turbine rotor and will be supplied with a magnetic bearing set up to connect with the rotor on the same shaft for high speed (18.5 – 20k RPM) operation. 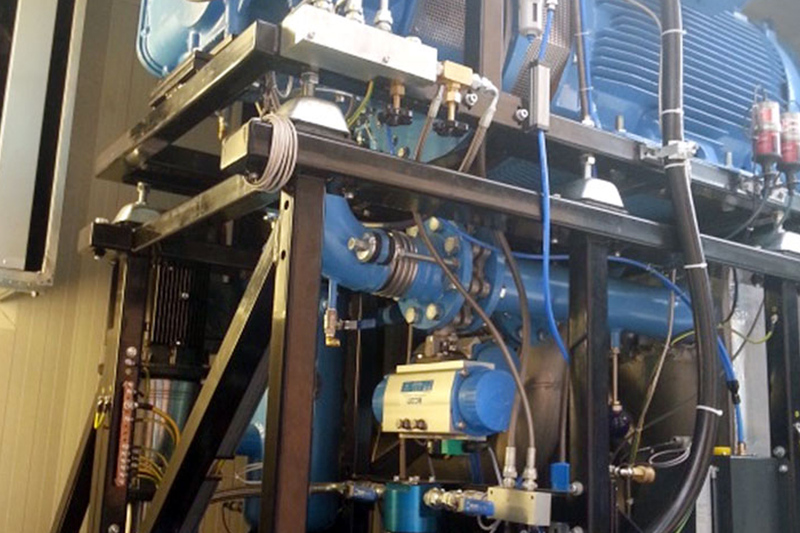 The intention of this collaboration is to learn from small scale (100kW) turbo-generator set up experience and build on it to move towards larger sizes (300kW to 1MW). A critical component of this development is the generator casing design which HERA is currently working on.